GEN 7 IS THE CLEAR CHOICE IN CONVEYOR ROLLERS. The Gen 7 Roller has a specially designed bearing assembly or endcap which is mass swagged onto the end of the tube under about 35 tonnes. Best of all … this eliminates the need to weld the ends of the roller. The Gen 7 has a specially designed bearing assembly or endcap, mass swagged onto the end of the tube under about 35 tonnes. Eliminates the need to weld the ends of the roller. 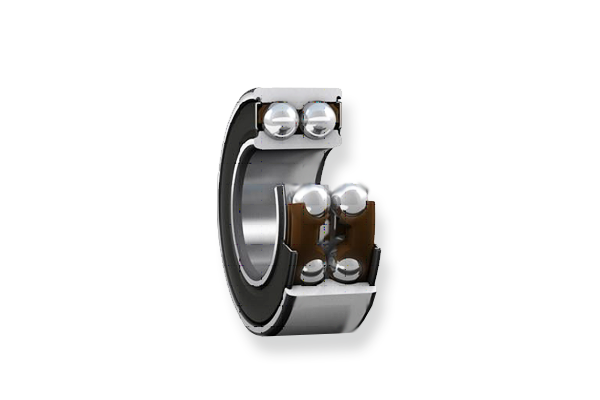 The bearings can be either double angle contact bearings or double roller tapered bearings. A safety bar can be inserted (like a mini axle) between both endcaps however there has not been any calling for it since the Gen 7 went into production. Negligible drag at the rim which overcomes the traditional causes of failure in rollers. The endcap is CNC machined, so that the bearings are seated perfectly within the end cap, sealed inner which negates ingress into the back of the endcap. 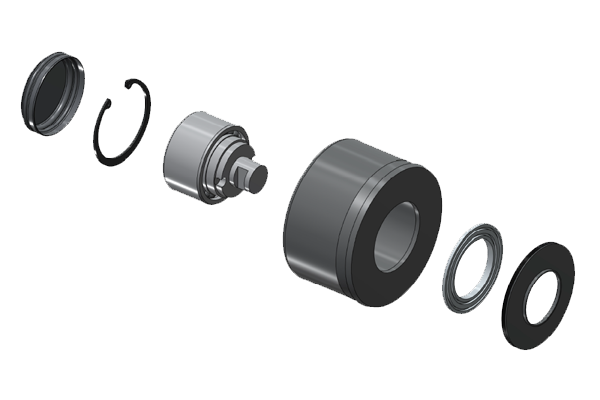 The internal space between the back of the bearing and the axle is held in place by a special cap, containing additional grease to prolong the life of the bearing. 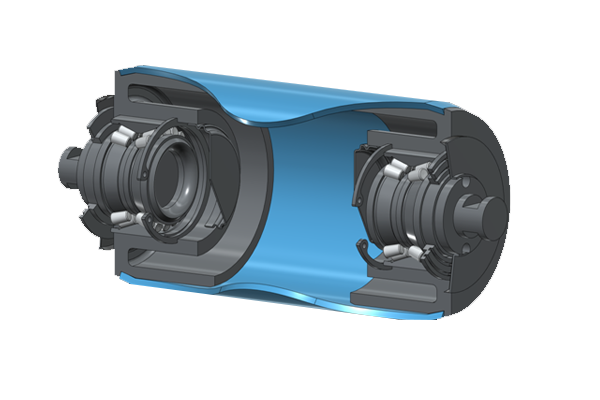 The size of the axle in conventional rollers dictates the size of the bearings. With a stub axle you can use a larger bearing that will take a higher load. CII Rollers have been designed to be robust and operate 24 hours a day for years. The Gen 7 is also supplied with a DAC 396837 roller bearing which has the following features: I . Dynamic Load: 7 kN; II . Static Load of 5 kN. The use of a bearing of this type (compared to a bearing used in a conventional roller) enables the roller to take both radial (vertical) and axial (horizontal) load. As the endcap is a bearing assembly the bearings are perfectly aligned. Bearing alignment is directly over the bearing. There is virtually no axle float. These bearing assemblies or hubs contain the axles and bearings. This is ideal for high speed conveyors. 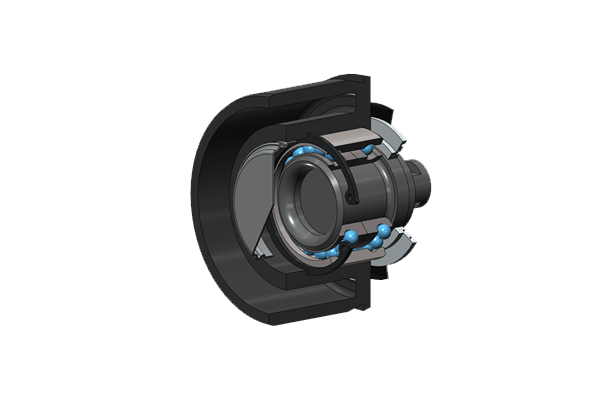 The Gen 7 bearing assembly is made of a hardened alloy to reduce the impact of corrosion on a steel bearing assembly (a major maintenance issue). CII Manufacture three tube types: Carbon Steel, VitreSteel and aluminium. Carbon Steel and aluminium are about 280 MPa. VitreSteel is extremely tough and has an 650-750 MPa. Serial Numbers & Manufacturing date: To comply with QA, each CII endcap is identified with a serial number and a delivery date. The tips are painted at the external ends of the shafts … I. Tips of axles blue for 2018; II. red for 2019; signalling the approximate year installed and how long they have been in service. Therefore, the installations during 2018 create an accurate method tracking all 2018 CII rollers on site at a glance (grime permitting). 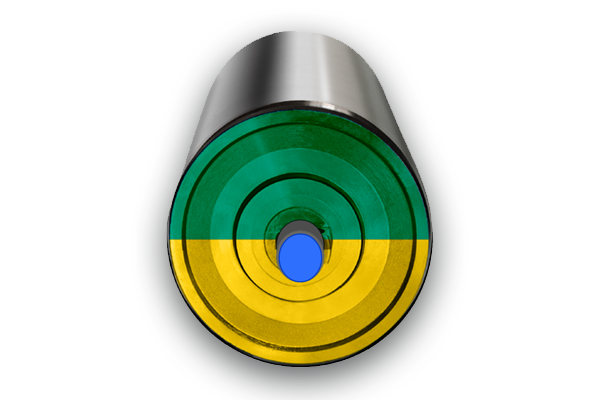 WHS Colour Coded: CII rollers since entering into service have a split colour, green and yellow colour coding so that you can tell whether a roller is rotating. No other manufacturer uses this type of Occupational Health and Safety differentiation. improved performance of rolls reduces the greater replacement number required. CNC manufactured endcap with internal allowances for extreme stress so will not fracture during use. Sealed DAC bearing unit that has a dynamic load of 39.70 kN and static load 36.5 kN with a longer bearing life in excess of 300,000 hours. No bearing deflection limiting failures. Mass swaged rather than welded construction so that breakages trough welding failure and so limits “pizza cutter” or “potato peeler” belt damage. Low TIR /MIS. 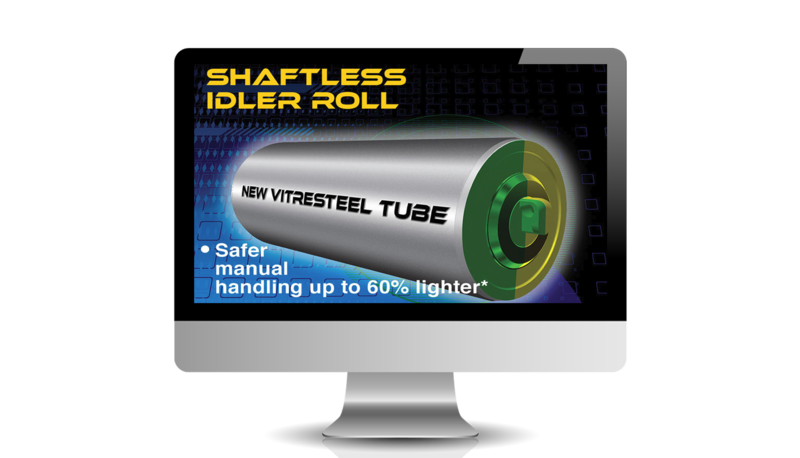 In the case of Vitresteel, the tube is milled into perfect round. Low Rim Drag—less energy usage. Low carbon footprint – Environmentally friendly. 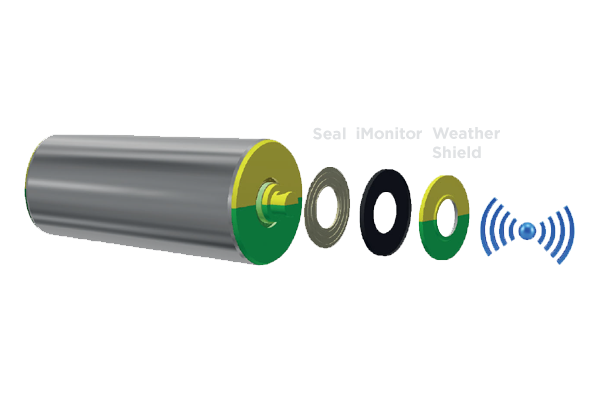 300mpa 4mm, 5 mm or 6mm shell.